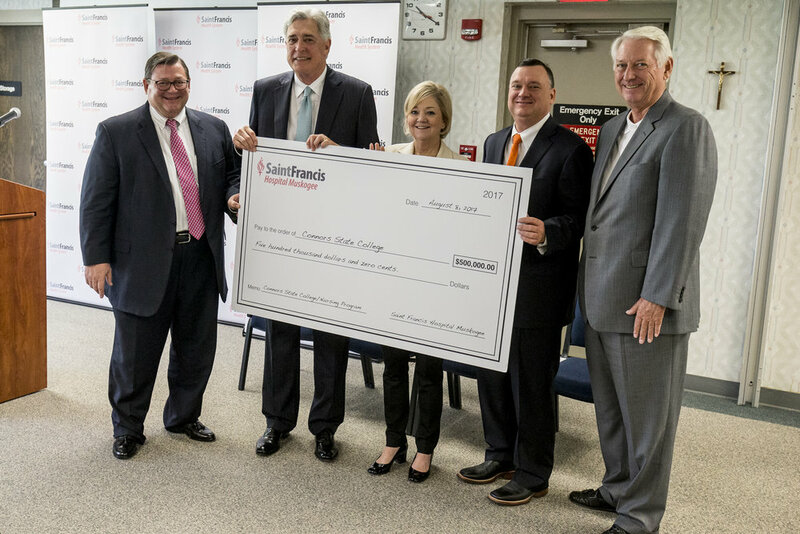 On Tuesday, August 8, 2017, Saint Francis Health System entered into a partnership with Connors State College providing funding to the college’s nursing program. Saint Francis’ $500,000 contribution will support expansion of the school’s nursing program and the addition of two new faculty members. The health system has also provided scholarships to offset students’ educational expenses while enrolled in the Connors State College program. The goal of the relationship is to increase the number of registered nurses in Oklahoma, particularly in the Muskogee area, in order to positively impact the state’s acute nursing shortage and low national ranking for numbers of registered nurses for population size.